A simple Event Bus using Dart Streams for decoupling applications. An Event Bus follows the publish/subscribe pattern. It allows listeners to subscribe for events and publishers to fire events. This enables objects to interact without requiring to explicitly define listeners and keeping track of them. 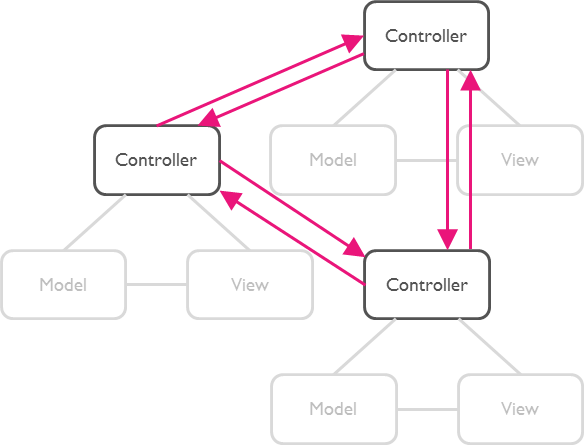 The Event Bus pattern is especially helpful for decoupling MVC (or MVP) applications. 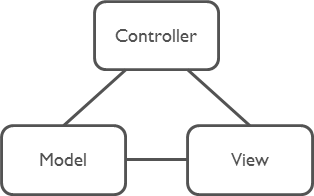 One group of MVC is not a problem. But as soon as there are multiple groups of MVCs, those groups will have to talk to each other. This creates a tight coupling between the controllers. By communication through an Event Bus, the coupling is reduced. Create an instance of EventBus and make it available to other classes. Usually there is just one Event Bus per application, but more than one may be set up to group a specific set of events. You can alternatively use the HierarchicalEventBus that filters events by event class including its subclasses. Note that the hierarchical event bus uses dart:mirrors which support in dart2js is experimental. Any Dart class can be used as an event. // Print the runtime type. Such a set up could be used for logging. 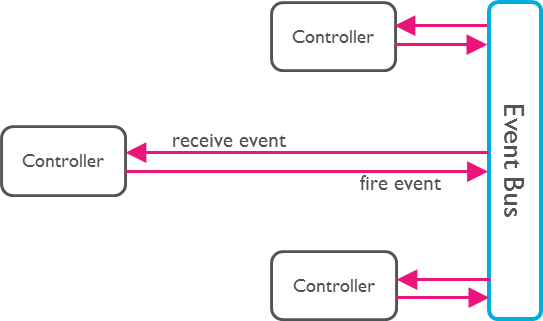 EventBus uses Dart Streams as its underlying mechanism to keep track of listeners. You may use all functionality available by the Stream API. One example is the use of StreamSubscriptions to later unsubscribe from the events. Finally, we need to fire an event.